This is not the column I had planned to write. 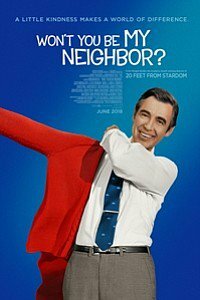 But, this week I’ve been very inspired by two experiences: The terrific LGBT Exhibit at the San Diego History Center and the powerful documentary on Children’s TV star Mr. Rogers: “Won’t You Be My Neighbor?”. There are lots of scary things in the news these days, so what can we do? Look for the helpers. The San Diego History Center in Balboa Park recently opened a groundbreaking exhibition that explores the history and evolution of San Diego’s LGBTQ+ community. In collaboration with Lambda Archives of San Diego, the exhibit — titled “LGBTQ+ San Diego: Stories of Struggles and Triumphs” — is the first of its kind for the museum. This is an amazing exhibit. Go! Go! You must go! This is our history, my friends, these are our people. The stories are powerful and gut-wrenching. I wept more than once as I learned about a history that I’d never really known. This exhibit shines a bright spotlight on hundreds – thousands – of LGBTQ+ San Diegans who were/are “helpers”. Some helped in a way that didn’t attract attention, but – anonymously and/or indirectly – changed the lives of thousands, if not millions, of people, both straight and queer alike. Other helpers were in front of the cameras and became iconic in San Diego and nationally. A few even achieved worldwide fame. This exhibit is particularly powerful given the challenging times we live in. After eight years of so much progress in our community under the Obama Administration, it appears that the Trump administration is trying to send us back in time, to a meaner, greedier time. So, what would Mr. Rogers do? Look for the helpers. And, let’s take it another step further, let’s become one of the helpers. Yes, my brothers and sisters, it’s time for action: wise, respectful, contemplative action. While there is certainly a place for political resistance, for many of us, our helping is quieter, behind-the-scenes. Many of us helpers are effecting changes daily: at the supermarket, at work, with other drivers on the freeway, with our relatives…oh, yes, with our relatives, for sure! My brother Steve and I definitely have differing views – almost diametrically opposing views – on most subjects. But lately, more-and-more often, we come together to work it out. Mr. Rogers is right: it’s very exciting that my brother and I have come to the point that we finally respect each other, after many years of major disagreements on more topics than I can even remember. Exactly. We were persecuted once and the helpers came. Things – eventually – got better. A lot better. Now, we are again being persecuted. I strongly recommend that you experience this wonderful exhibit at the San Diego History Center (http://sandiegohistory.org/exhibition/sdlgbtq/) and the terrific documentary on Mr. Rogers. Learn about all the helpers in the past…and become one yourself.